Our greatest president was also our most constitutionally precise president. From his earliest days in politics, Abraham Lincoln evaluated national policies in constitutional terms, and he demanded that the government justify its actions by pointing to the legal authority that supported them. As a first-term congressman in 1847, he challenged President Polk's claim that Mexico had provoked a war with the United States by introducing "spot resolutions" demanding that Polk identify the precise spot on American soil where American blood had been spilled as a result of Mexican attacks. (In fact, Lincoln suggested, the troops may have been fired on after they crossed the border into Mexico.) Later, running for Senate against Stephen Douglas, Lincoln rejected the Dred Scott decision as a final resolution of the constitutional issue of the status of slaves. In his debate with Douglas, he criticized the decision's claims about constitutional history and precedent with technical sophistication, and by his first inaugural address Lincoln insisted that the decision was constitutionally binding on the parties concerned, but not necessarily on the country as a whole. As president, Lincoln was similarly attentive to constitutional and statutory arguments. He insisted that the federal government was obligated to resist Southern secession because it violated the Constitution; and he insisted that his powers as chief executive allowed him to abridge individuals' rights such as habeas corpus, jury trial, free speech, and private property in order to preserve the Union. Today, self-styled constitutional pragmatists and defenders of broad executive power in wartime have little patience for the technical details of the arguments that Lincoln offered to justify his actions. The president should be able to do whatever he likes to defend the country against a serious threat, they argue, and the legal justifications for his actions are little more than retrospective window-dressing that should not be allowed to constrain his options in any meaningful way. But this cynical view of the malleability of constitutional law was not Lincoln's view. Legal arguments were central to the formation of the policies that allowed him to achieve greatness as president. They constrained him from committing excesses and also liberated him to take extraordinary action when the exigencies of the threat required it. Far from showing contempt for the coordinate powers of Congress in wartime, as some modern defenders of executive power do, Lincoln was careful to enlist congressional approval for his most controversial actions in ways that strengthened him as a leader in peace and in war. He was not paralyzed by legalisms, and was willing to test the limits of ambiguous constitutional restraints when he believed that the survival of the entire Constitution required nothing less. Ultimately, the power of his constitutional faith in liberty and equality transformed the existing constitutional order into something greater than it had been before. But Lincoln did not spring fully formed into greatness; he made himself great by the strength of his vision and the wisdom of his decisions. To the degree that his legal training and vision were part of what guided his actions at every turn, it is impossible to understand Lincoln as the savior of the Union without also understanding Lincoln as a lawyer. In his illuminating and unexpectedly timely book, Daniel Farber sets out to evaluate Lincoln's wartime decisions by taking seriously the legal arguments that Lincoln offered to justify them. By and large, Farber concludes, Lincoln did quite well in respecting constitutional boundaries during the greatest constitutional crisis in American history. "Most of what Lincoln did ... was in fact constitutional," Farber concludes. "He was correct that secession was unconstitutional, a revolutionary act rather than a legitimate exercise of state sovereignty. He was also correct that, in actual areas of war or insurrection, he had emergency power to suspend habeas and impose martial law." Not everything Lincoln did was constitutional, to be sure: he expanded the jurisdiction of military courts in the North beyond constitutional bounds, and he occasionally infringed free speech, although much less than he might have done. He called unilaterally for volunteers to expand the regular military--an action that clashed with Congress's power to raise armies--and he transferred federal funds to private parties to pay for the early phases of the war, which violated the constitutional requirement that all money drawn from the Treasury must be legally appropriated by Congress. In both cases, however, Lincoln sought congressional approval after the fact, and Congress promptly supported him. Farber calls this, on balance, "not a perfect record, but a creditable one, under incredibly trying circumstances." Lincoln did not claim a sweeping power to start a war without congressional approval, but only the more limited authority to respond to hostile fire against the American military. 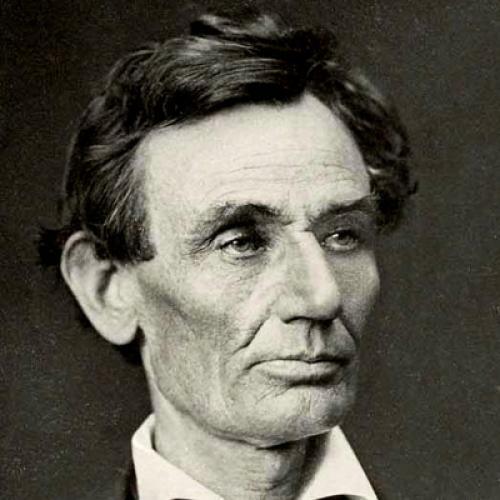 Instead of arguing crudely that ordinary legal procedures should be suspended during times of war, Lincoln asserted the much narrower power to suspend ordinary legal procedures only in areas of war or insurrection where they could not plausibly be maintained. Those who invoke Lincoln on behalf of the need to ignore ordinary constitutional protections in times of war are bad historians as well as bad pragmatists, for Lincoln showed that it is in fact possible to save the nation and the Constitution at the same time. And what enabled him to accomplish this remarkable task was the precision of his personal engagements with the legal arguments on which he relied. He did not rely on speechwriters or aides to provide legal justifications for his actions retrospectively; he justified them himself in the course of formulating them. In his hands the justifications shaped the actions, rather than the other way around. The core of Lincoln's constitutional vision was his unshakable view that Southern secession was unconstitutional. And this view flowed in turn from his conviction that the people of the United States as a whole, rather than the people of each individual state, were sovereign under the American Constitution. The question of who is sovereign--the people of each state, the people of the nation, or some combination of the two--continues to resonate in the debate about the limits of federal and state power today. In the Supreme Court decision in 1995 striking down state-imposed term limits on federal representatives, a majority of the Court embraced Lincoln's view that the people of the whole nation were sovereign. But Clarence Thomas (joined by William Rehnquist and Sandra Day O'Connor) rejected this vision, insisting with John C. Calhoun that "the ultimate source of the Constitution's authority is the consent of the people of each individual State, not the consent of the undifferentiated people of the Nation as a whole." Both Lincoln and Calhoun cited the Founders as authority for their views; but in fact there was no clear consensus about the location of sovereignty in 1787. The most nationalistic Founders may have agreed with Lincoln that the colonies declared independence as a collective body that succeeded to the sovereignty formerly held by the king. But the more nuanced and convincing view among the nationalists was that the ratification of the Constitution transformed the nature of sovereignty. Through the act of ratification (technically illegal under the rules governing the old Articles of Confederation), the people of the United States redefined the sovereignty that had previously been vested in the king and relocated it in themselves. But even after ratification it was not clear whether the people of each state were sovereign, as Calhoun would argue, or the people of the United States as a whole were sovereign, as James Wilson insisted, or whether the national and state people shared a kind of "dual sovereignty," as James Madison suggested. The question was settled in practice--if not in theory: might does not make right or wrong--at the Battle of Appomattox, which represented a forcible rejection of Calhoun's view. But even before the Civil War, Farber concludes that the constitutional arguments in favor of Southern secession were weak. Madison, whose view was at odds with Lincoln in recognizing that the sovereignty of the people sometimes expressed itself in federal rather than national acts (such as ratification), argued strenuously against the power of individual states to nullify federal laws with which they disagreed. Madison said that nullification would allow a single state to immunize itself from constitutional restrictions--implicitly amending the Constitution without the consent of three-fourths of the states, as required by the Constitution itself. Madison expressed similar doubts about the power to secede, insisting in a letter to Hamilton that ratification must be permanent and irrevocable, for if states reserved a right to withdraw from the Union, ratification would be conditional and the contract between the states would not be reciprocal. For these and other reasons, Farber concludes that neither the text of the Constitution nor the ratification debates provides much support for a power to secede, and the available evidence leans in the other direction. The unconstitutionality of Southern secession was not a technical quibble for Lincoln because it was at the heart of his claim that his oath of office required him to use force to save the Union. Farber asks whether Lincoln usurped congressional power in dispatching troops without congressional approval and concludes, in most cases, that he did not. In calling up 75,000 militiamen and closing Southern ports, he was acting according to explicit congressional authorization. In sending troops to Fort Sumter to carry supplies to a federal fort under Southern attack, he was acting without explicit congressional authorization, but Congress later endorsed his actions. He responded to emergencies as vigorously as he could, but he was scrupulous in attempting to shore up the constitutionality of his actions as soon as possible. During the period before Congress endorsed the suspension, one of the early detainees, John Merryman, challenged the constitutionality of Lincoln's actions, arguing that they violated article 1, section 9 of the Constitution, which provides that "the Privilege of the Writ of Habeas Corpus shall not be suspended, unless when in Cases of Rebellion or Invasion the public safety may require it." Lincoln suspended the writ after a Baltimore mob blocked the passage of Union troops to defend the capital. Merryman was arrested after being charged with drilling troops to aid the Confederacy; and his challenge to Lincoln's actions set the stage for a confrontation between Lincoln and Chief Justice Roger Taney. In ruling Merryman's arrest unconstitutional, Taney's decision offered plausible constitutional challenges to Lincoln's actions. He noted that the constitutional authorization for suspending habeas corpus is found in article 1, which deals with limitations on the legislature's power, not in article 2, which deals with executive power. Also, the English monarch had been deprived of the power to suspend the writ, and authorities such as Chief Justice John Marshall had concluded that Congress alone had the power to suspend the writ. Lincoln responded to Taney's opinion by essentially ignoring it: he delivered an address on July 4 that made no explicit reference to Taney but asked whether "all the laws but one" were to go unexecuted, "and the government itself go to pieces, lest that one be violated?" Congress eventually settled the dispute in March, 1868, with a law declaring that the president did indeed have the power to suspend the writ of habeas corpus. (The statute was vague about whether Congress was giving the president the power to suspend the writ or recognizing the existence of the president's power after the fact.) Lincoln reluctantly expanded the scope of the suspension until it covered the entire nation, noting in a memo that "unless the necessity for these arbitrary arrests is manifest, and urgent, I prefer they should cease." Was Lincoln's action constitutional? Farber says that "the president's power to make war in response to 'sudden attack' is the most plausible source of his authority to suspend habeas in the theater of ensuing war." If the president can supplement the congressional power to make war in emergencies, he can probably also take other emergency measures, such as suspending habeas or declaring martial law, at least when Congress has not spoken to the contrary. Also, a federal circuit court held that the statutes authorizing Lincoln to call out the militia implicitly authorized him to declare martial law and to suspend habeas corpus, and Justice Holmes endorsed this interpretation in a later Supreme Court opinion. Holmes, who had been wounded in the Civil War and was not squeamish about emergency powers, concluded that the power to detain dangerous individuals goes along with the power to use deadly force against them. For these reasons, Farber concludes that "on balance Lincoln's use of habeas in areas of insurrection or actual war should be considered constitutionally appropriate, at least in the absence of any contrary action by Congress." Given the riots in Baltimore when the war broke out, the suspension of habeas in Merryman's case could have been justified as an emergency military measure. It is easy enough for judges or commentators to construct a retrospective constitutional justification for most executive actions during wartime. What is striking about Lincoln's achievement is that he did not rely on others to provide constitutional justifications for his actions after the fact; he justified them himself, with such analytical precision and legal sophistication that, even in retrospect, his own constitutional account of his actions surpasses any other. He did not argue that the president as commander-in-chief can ignore the Constitution or federal statutes, denying the prerogatives of Congress. He did not insist that he alone, as president, had the power to judge the constitutionality of his own actions, refusing to entertain the possibility of review by the courts. Instead, his defense of his arguably illegal actions took two parts. First, he insisted that his actions, "whether strictly legal or not," were a response to public necessity, "trusting, then as now, that Congress would readily ratify them" when given the opportunity. This trust was vindicated, and Congress did indeed respond with legislation ratifying Lincoln's transfer of money to private hands, expansion of the military, and suspension of habeas corpus. Second, Lincoln insisted that his suspension of habeas corpus, even if technically illegal, was not inconsistent with his oath to "take care that the laws be faithfully executed." He did not claim that emergency situations override his constitutional duty to uphold the law--only that in situations where full compliance was impossible, he needed to choose the lesser of two evils. This combination of constitutionalism and pragmatism is hard to find in our greatest justices and is unmatched in any other president. There remains the question of Lincoln's decision to ignore Taney's order, which he never acknowledged. He did not take the crude position that presidents never have to submit to a judicial review of their decisions in wartime; his position was more technically precise. He had already committed himself, in his comments on the Dred Scott case, to the proposition that the parties to a federal case were bound to obey a decision with which they disagreed. In the Merryman case, however, Lincoln was ignoring a judicial order issued directly to the executive branch. Was this a violation of a legal duty, and therefore of his oath to uphold the law? Farber emphasizes that Lincoln did not defend the president's right to nullify or to ignore an order with which he disagreed. Instead Lincoln assumed that if his own suspension of habeas corpus was valid, he was entitled to ignore Taney's order. Farber considers the possibility that this judgment was correct on the technical ground that a valid suspension of habeas corpus eliminates a court's jurisdiction to review the suspension, and if Taney lacked jurisdiction to hear the case, his orders could create no legal obligations. As a precedent for this view, Farber cites the practice of the Revolutionary War officer who ignored habeas petitions from the states on orders from the Continental Congress. The Framers seemed to endorse this practice, confident that the president was not unchecked because Congress had the final word about habeas and could intervene at any time. "Under this analysis, Lincoln's action in Merryman would not stand for any general right to disobey judicial decrees," Farber concludes. "It would stand only for a limited right to disobey decrees when the judge lacked the sheer power to issue a binding order. If this jurisdictional analysis is rejected, however, we should concede that Lincoln's action was unlawful," and could be justified only in the name of necessity. Farber's legal analysis is as technical as his subject demands, but he does not limit his defense of Lincoln to technicalities. He stresses also Lincoln's character: his unique ability to combine a "ruthless pragmatism and a fidelity to principle"; his moral judgment, courage, and humanity; his "unshakeable determination combined with a shrewd sense of reality." Lincoln's character appears especially remarkable when contrasted with that of his opponents--in particular Taney, who was an able lawyer and not a bad man, but arrogant and rigid, full of an inflated sense of judicial power; a man who went out of his way to deny any flexibility to the president in a time of emergency, refused to allow the government to be heard, mocked Lincoln, and circulated his opinion as widely as possible to embarrass the administration. (I have an 1862 pamphlet edition of the decision, grandiosely titled "Decision of Chief Justice Taney in the Merryman Case upon the Writ of Habeas Corpus," which notes that it was published on Taney's authority.) "A judge with a little less self-righteousness and a little more humility might still have ruled against Lincoln, but he would not have overreached so badly," Farber concludes. "It was much the same arrogance that led Taney to think he could settle the slavery issue single-handedly with his Dred Scott opinion." What contemporary lessons can be drawn from Lincoln's efforts to reconcile the requirements of security with those of constitutional liberty? Farber draws few direct comparisons with our current debates about liberty and security, and he is right to be circumspect. Our modern national security state has the potential to threaten civil liberties far more dramatically than the embattled federal government over which Lincoln presided. Indeed, as Farber notes, Lincoln's military arrests reflected the weakness of the federal government, not its strength. There were only seventy federal judges in the entire country--too few to review the thousands of arrests made by military officers in the press of events. Given the primitive national security apparatus at his disposal, Lincoln could not have acted as a dictator even if he had wanted to do so. Despite the great legal and technological differences between the scope of federal power today and in Lincoln's time, one lesson emerges clearly from Farber's narrative, and it is the danger of putting too little or too much faith in law during times of national emergency. On the one hand, there are executive unilateralists today who insist that the president should be essentially unconstrained by congressional or judicial oversight. He should do whatever is necessary to meet the exigencies of the emergency, and because constitutional law is malleable, his aides will find it easy enough to justify his actions in retrospect without worrying too much about the precise source of the legal authority at hand. The president's actions should be judged pragmatically rather than legalistically, these self-styled pragmatists argue; and he should have no qualms about abridging liberty so long as the abridgments result in greater security. The precision of Lincoln's legalisms reveals the glibness and the arrogance of the pragmatist position. For Lincoln, the political effectiveness of his actions was inseparable from his legal analysis: he frankly acknowledged actions that he knew tested constitutional limits, and his willingness to seek congressional approval for his most controversial actions after the fact helped to prevent a political backlash that might have threatened his ability to act decisively. Moreover, had Lincoln been a less scrupulous lawyer, he might have threatened civil liberties far more dramatically than he did. "In the end, some of what Lincoln and his subordinates did exceeded their constitutional authority," Farber notes. "What prevented these unauthorized executive actions from becoming a threat to the entire constitutional order was Lincoln's willingness to seek congressional ratification and face the legal consequences if it was not forthcoming." Lincoln's ability personally to engage the constitutional arguments of his critics--rather than self-righteously dismissing them out of hand--led him to act with as much moderation as circumstances allowed. In the case of the most famous interference with free speech, Lincoln reluctantly defended an order by General Burnside that proclaimed that the "habit of declaring sympathies for the enemy will not be allowed." Clement Vallandingham, a well-known peace Democrat, was arrested for violating Burnside's order after he called the war "wicked, cruel, and unnecessary" and urged his audience to vote "King Lincoln" out of office; Lincoln, embarrassed by the arrest, ultimately ordered Vallandingham to be expelled into Confederate territory rather than imprisoned--not a wonderful solution, but restrained under the circumstances. And in defending the general policy of military arrest on the basis of public necessity, Lincoln insisted that it would be wrong to arrest citizens simply for criticizing the administration; instead arrests might be necessary to prevent dangerous individuals from encouraging desertions from the army or to prevent the raising of troops. "Must I shoot a simple-minded soldier boy who deserts," Lincoln asked, "while I must not touch a hair of a wiley agitator who induces him to desert?" While Lincoln's actions may not pass muster under modern First Amendment doctrine, his scrupulous concern for answering his critics on their own terms contrasts dramatically with the current defenders of executive power who, unwilling or unable to engage their critics, prefer to dismiss them out of hand. If Lincoln's example shows the danger of being careless about constitutional limitations, it also shows the danger of being paralyzed by them. For Lincoln, legalisms were tools in the broader constitutional project of preserving the Union; he never hesitated to take actions necessary to preserve the Union because he found no controlling legal authority to justify them. Unlike anti-war civil libertarians today who insist that the president may not act unless there is clear constitutional or statutory support for each of his actions in domestic or international law, Lincoln understood that the executive's overarching duty is to preserve constitutional order, and a few laws may need to be bent or broken in order to save the rule of law itself. He was both a constitutionalist and a pragmatist, which is an achievement that none of the current partisans of pragmatism or constitutionalism have managed to achieve. That is why his constitutional vision remains unmatched in American history. Above all, Lincoln understood the importance of addressing his enemies as well as his friends in the only common language they shared: namely, the one rooted in the legal language of the Constitution itself. What made Lincoln great was his insistence that he could be the leader of all the people in the Union, even those who were trying to destroy it. (The wisdom and the grandeur of his Second Inaugural Address were owed to this expansive conception of his historical responsibility.) He understood that at a time when the clashing sides agreed on nothing else, they could agree on the importance of debating the meaning of the constitutional text itself. Lincoln's faith in the power of law to bind and to unite was his earliest faith, and it is the consistent theme from the beginning of his career as an obscure lawyer to the end when he was apotheosized into America's martyred constitutional savior. In his address to the Young Men's Lyceum of Springfield, Illinois in 1838, Lincoln argued that the greatest danger facing America comes not from some "transatlantic military giant" such as European or Asian or African invaders. If the danger is to reach our shores, Lincoln argued, "it must spring up amongst us; it cannot come from abroad. If destruction be our lot we must ourselves be its author and finisher." The danger that Lincoln feared most was mob rule--"the increasing disregard for law which pervades the country--the growing disposition to substitute the wild and furious passions in lieu of the sober judgment of courts, and the worse than savage mobs for the executive ministers of justice." He noted the wave of mob violence that was sweeping the country from New England to Louisiana--the lynching of gamblers, the burning of African Americans, the shooting of newspaper editors, and the execution of suspected murderers. In the midst of a nation seized by the "mobocratic spirit," Lincoln worried that a dictator could rise up among the people, resolved to destroy our constitutional liberties in order to satisfy his own ambition. To fortify against this danger, Lincoln urged his audience to be guided by reason--"cold, calculating, unimpassioned reason"--rather than the passion that "has helped us, but can do so no more." He concluded by challenging his audience to revere the laws and the Constitution in the face of its anxieties and fears. "Let every American, every lover of liberty, every well-wisher to his posterity swear by the blood of the Revolution never to violate in the least particular the laws of the country, and never to tolerate their violation by others." Instead of dismissing the value of legal argument, Lincoln challenged the members of his audience to transcend their baser impulses and embrace an ideal larger than themselves, the ideal of constitutional liberty. It is unfortunate that some of those who now claim Lincoln's mantle have lost his faith in the law itself.